It's a pleasure stay here! 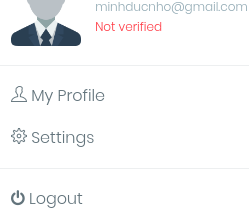 How can i verify my account? i don't see anywhere to apply to verify. how to get verified account, and token is withdraw with any exchange??? HOW COULD I CLAIM MY 3 RD ROUD AIRDROP TOKEN? If I join past round, do I eligible for the next round? Somehow I cannot update my MEW information on website. I submit address on my profile section and next time I login, it does not show up. Also, I am missing Telegram username and I cannot update it. Any way to do? Thanks. Pls check my activity about Jus naturale ICO on social media.